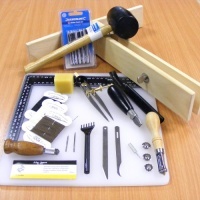 Here we have a range of leathercraft starter kits, ideal for gifts and for taking that first step into leather craft. 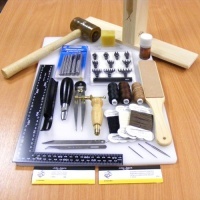 Everyone's needs are different, so if a kit as a whole isn't quite right for you, you can still use it as inspiration to help you put your own range of items together! 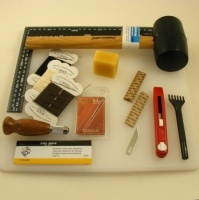 For complete beginners, it's often a good idea to refer to an instructional book or DVD to help you get the best from your tools and supplies, and these are shown in the related items below each product description.